Startup office design has come a long way since garage space beginnings and the token ping pong table. Collaborative zones, comfortable furniture, and motivating decor accents are becoming standards for thriving working environments as seen in the popular companies we know and love. But, what if you don’t have the budgets of Google, Facebook, or Pixar? No matter! It is absolutely possible to encourage productivity and inspire your team with a creative, well-designed business space that does not break the bank. Here are some tools that can bring your regular office design to a new level of excellence while saving you time and money. 1. Get inspired – As with any design project, it’s very helpful to click though inspirational images to generate ideas and narrow down your style. Designer favorites, Pinterest and Houzz are great go-tos. 2. 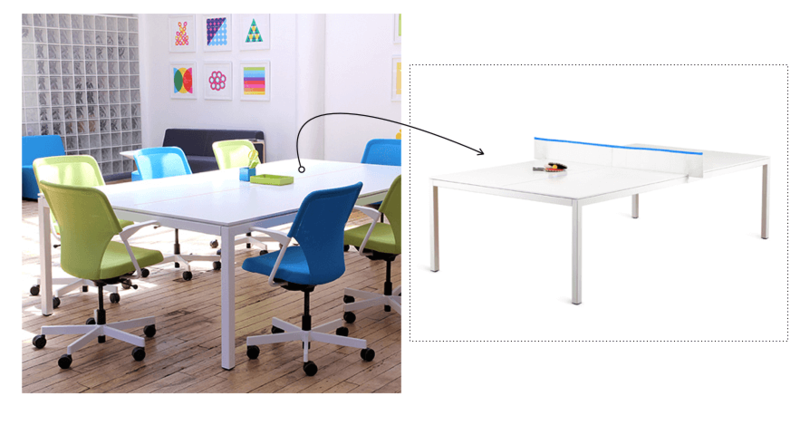 Outfit your space using deal sites – Furnishing your work space can be an overwhelming and costly task. Office oriented sites like Poppin and Vast Market offer a one-stop shopping experience, offering everything from lounge seating, desk accessories and yes, even the office ping pong table at reasonable prices. You can certainly come across great finds on other favorites like CB2, Target, and Overstock. 3. Nail the design ahead of time – Not sure how it will all look together? Need some creative expert advice that won’t break the bank? Decorilla offers several design concepts from professional designers helping you visualize your space before it’s done. This saves time and money by limiting trial-and-error experiences and recommending items at company discounts. See below for a very special Decorilla + more offer! 4. 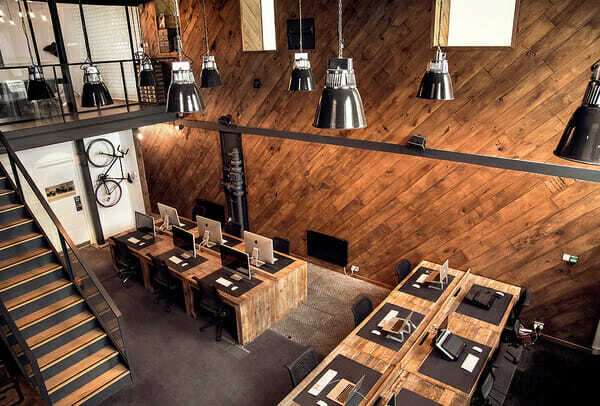 Roll up your sleeves & get creative – Not all of your office design needs to be high end or store bought. Sure, there may be areas worth splurging like tech tools and ergonomic seating. Yet, you can cut some corners by thinking outside the box and doing some design projects yourself. Quid’s San Francisco office, for example, creatively solved the need for installing plaster walls for a conference room with a cleverly designed yurt-like circular meeting space. With walls made of industrial-grade freezer curtains, this design significantly cut their construction cost. 5. Consider community oriented shared spaces – Let’s face it, the cost of commercial leasing can be disheartening. Luckily, there is a buzzing trend of space sharing. New York’s DUMBO Incubator and Hive at 55 are two great examples of affordable startup office space solutions which not only encourage sharing of resources, but also invites creative collaboration. Creating the perfect office design does not have to be overwhelming or break the bank. 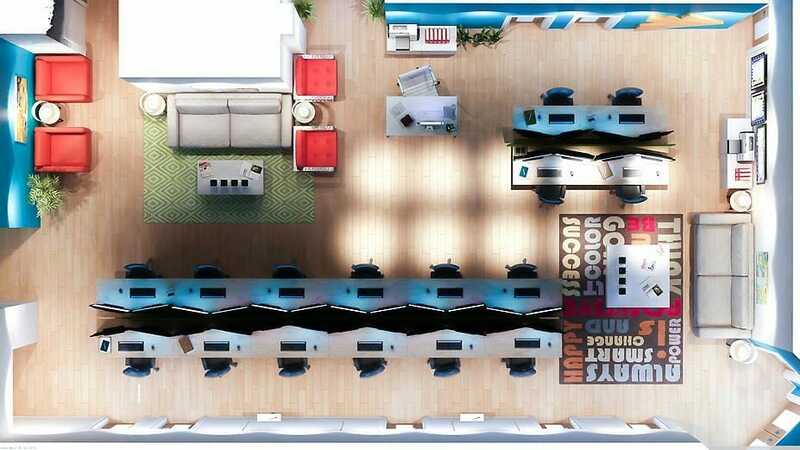 With the mentioned tips, you can develop the pleasant and effective work space of your dreams!